If you are following the vegetarian path, we have a solution just for you! Body Beautiful Vegetarian Diet Plan includes all the superfoods and "clean food" items as the rest of the Body Beautiful series, however excludes meat and fish. 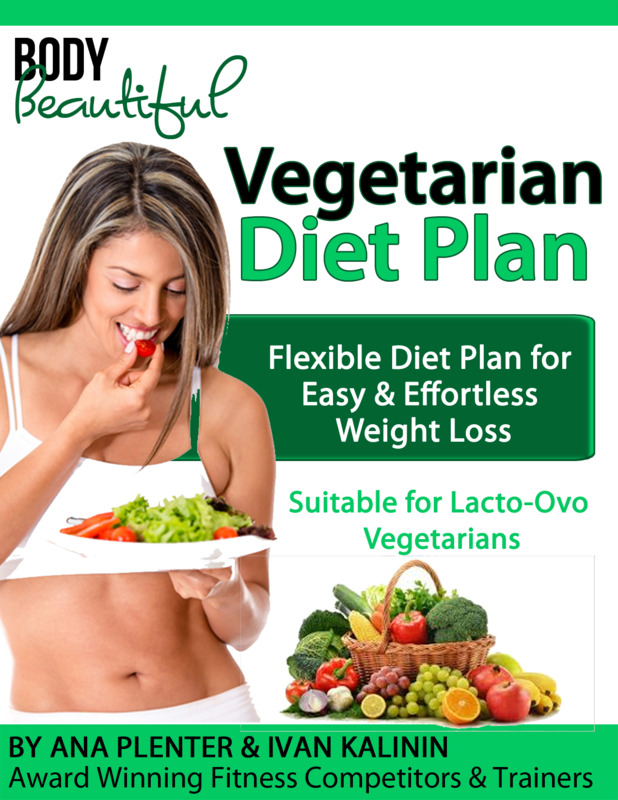 This plan is designed for lacto-ovo vegetarians and our herbivore clients have seen some tremendous results using this diet plan in combination with the Build My Body Beautiful workouts. This is not a cookie cutter diet, you have a great amount of freedom to modify and assemble your own meals, so you never feel like you are on a diet. The plan also includes recipes that will supply you with plenty delicious meal ideas!